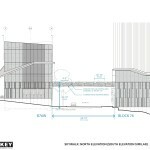 The skywalk would span between the two buildings at a height of 22′ over NE 3rd Avenue. 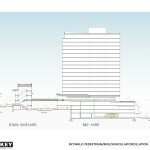 The skywalk would allow a pedestrian or cyclist to enter the Sideyard building from NE Couch Court, ascend a set of stairs, and walk over to level 5 of the Yard tower. 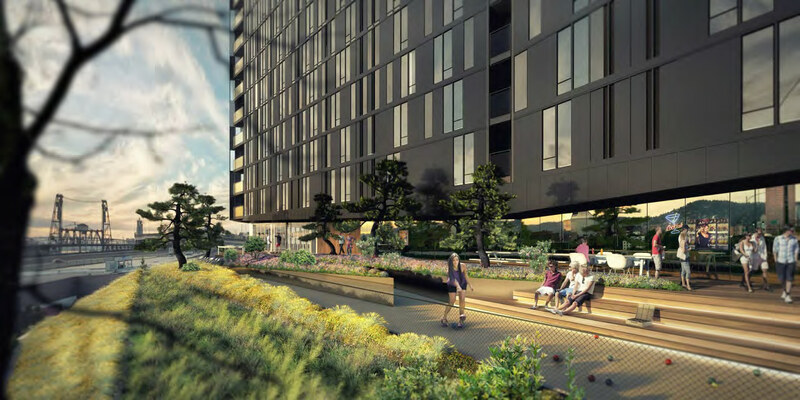 Though Yard has retail units opening directly onto NE 2nd and 3rd at levels 1 and 3 respectively, the largest retail spaces are located at the fifth level of the tower. These have access to the landscaped podium which will face the Willamette. Retail tenants discussed for the space included a restaurant or a spa. A memo [PDF] to the Design Commission, published before November 19th advisory hearing, noted that the Portland Bureau of Transportation is not supportive of the proposal for the skywalk. Portland has a long standing policy that connections between buildings should happen at the ground level in order to ensure vibrant and active sidewalks. Aerial connections between buildings are rarely approved today, and only where there is a compelling public benefit. 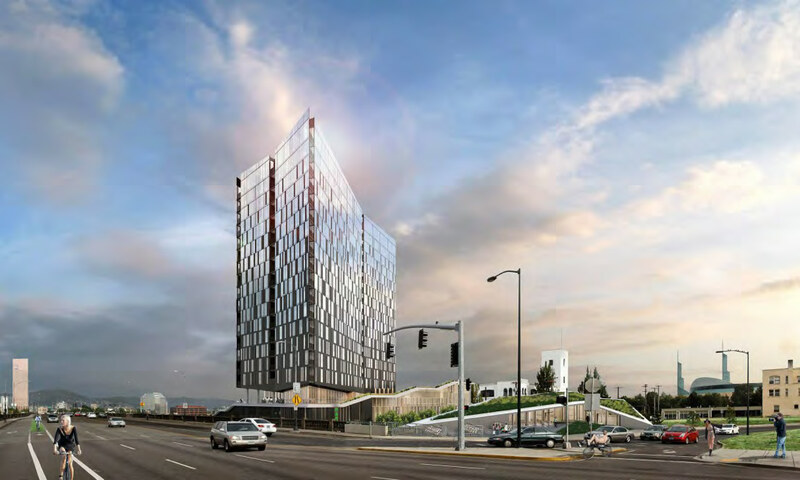 Two sky structures have recently been approved by the City Council: one to connect the OHSU Center for Health and Healing to a new building to the south of it; and to connect the PSU School of Business Administration to the existing PSU skybridge network. At OHSU it was found the bridge is required to accommodate critical surgery functions, where patients cannot be moved at ground level. The PSU bridge is needed to allow physically disabled students and faculty to access older non-ADA compliant buildings on campus, and also resulted in a net reduction in the size of the skybridge network. 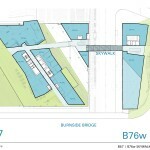 The skywalk between Yard and Sideyard found little support from the Design Commission, who did not feel that a connection between two private buildings was of sufficient public benefit to warrant their approval. 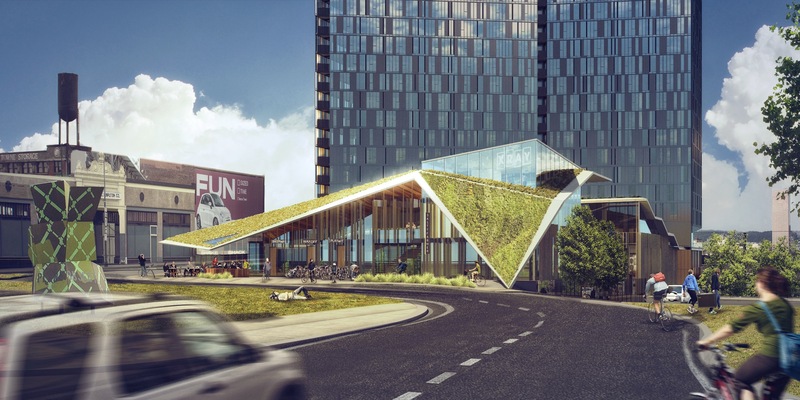 While the applicants made the case that the skywalk would help ensure the viability of the commercial spaces, a city goal itself, this was not enough to sway the Commission. 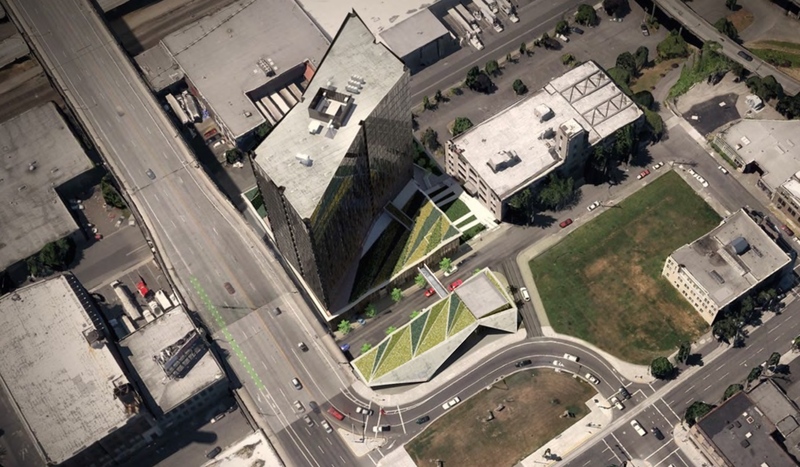 Should the proposal for the skywalk move ahead the final decision is made by the City Council, based on a recommendation by PBOT with input from the Design Commission. 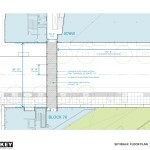 A separate Type II Design Review is currently under review for Sideyard. 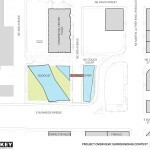 Yard is expected to open in summer 2016, and updates on the project can be found at www.yardpdx.com. 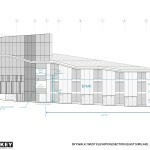 This entry was posted in Block 76 West, Guardian Real Estate, Kerns, Key Development, Skylab Architecture, Yard. Bookmark the permalink.